When the weather is just right, why not take a dip? 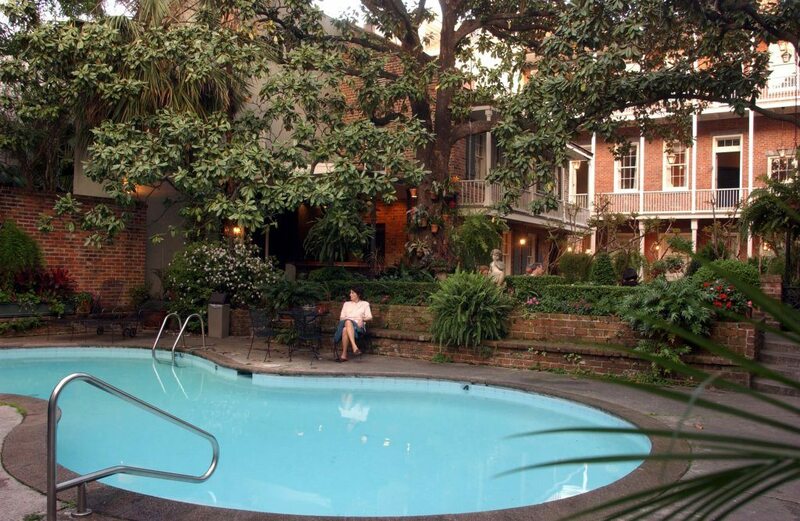 Whether you’re visiting New Orleans or staycationing, you can cool off and enjoy the city (or take a break) at any of the three charming, one-of-a-kind outdoor pools located inside these boutique hotels in the French Quarter: French Market Inn, Place d’Armes Hotel, and Hotel St. Marie. Their pools offer something some other spots in the city don’t — a quiet place to escape, recharge, and soak up the sun away from the crowds. They’re intimate and secluded, and can offer some serenity just steps away from the hustle and the bustle of one of the oldest neighborhoods in the U.S.
All three pools are saltwater and tucked away in private tropical courtyards, surrounded by beautiful brick walls, fountains, and lush greenery. 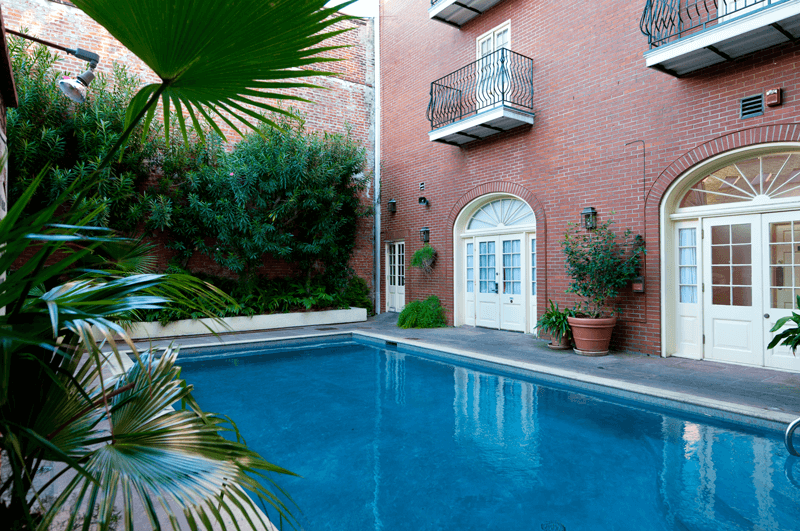 What makes the pool at Hotel St. Marie (827 Toulouse St.) stand apart from the many other hotel pools in the city is that it’s handicap-accessible and especially kid-friendly, at 4.5 feet at its deepest. Built for lounging, the pool area and the landscaped courtyard with patio seating can surely put you in a vacation mode. You can grab a cocktail or a bite to eat from Vacherie Restaurant & Bar located inside the hotel, and enjoy either poolside. Vacherie is three in one: the cafe is a convenient, on-the-go option for a snack or a quick sandwich; the full bar offers artfully crafted drinks (and the daily happy hour 3-7 p.m.); and the restaurant is great for elegant yet low-key dining-in. Inside, Hotel St. Marie serves up classic French Quarter atmosphere with modern amenities. Its European-style decor delivers luxurious touches like chandeliers and period paintings. The meticulously restored exterior is lined with wrought-iron balconies overlooking the action, only half a block away from Bourbon Street and mere four blocks from Jackson Square and the St. Louis Cathedral. 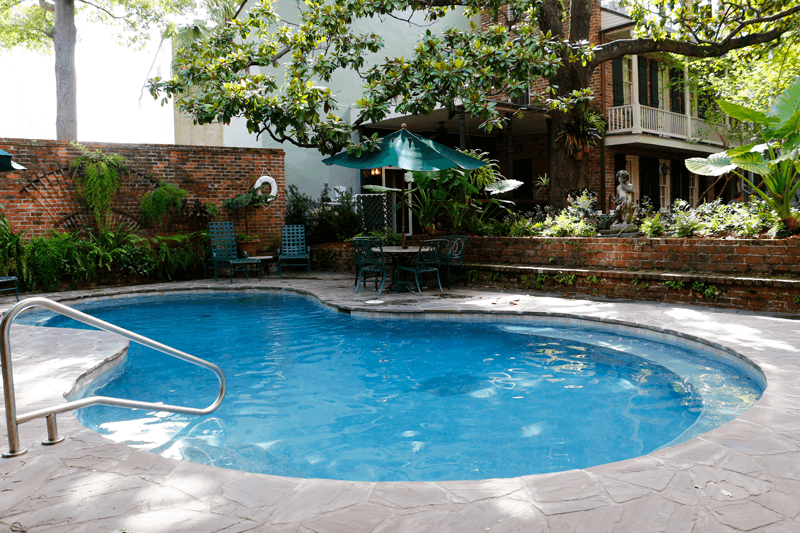 The recently upgraded pool at the French Market Inn (509 Decatur St.) features a sun deck, lounge chairs, and plenty of seating around the pool and everywhere around the lovely courtyard. If you want to sip your favorite hot, iced, or frozen coffee beverage poolside, the on-site PJ’s Coffee has something fresh brewing daily, from 6 a.m. to 9 p.m. 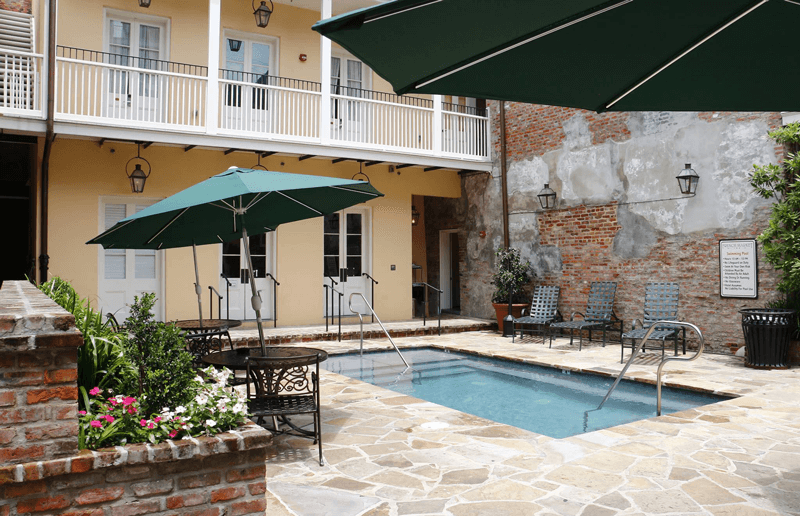 The historic French Market Inn is uniquely situated to offer both the serenity of its private stone-paved courtyard and a glimpse into a busy French Quarter neighborhood steps away from the Mississippi River (and its balconies, overlooking Decatur Street, offer great views of both). When you step inside, you’ll find yourself surrounded with the quiet elegance of antique brick and the meandering garden. 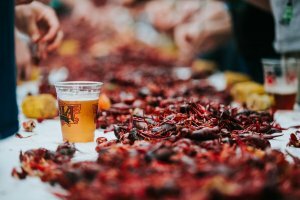 Yet, the hotel is located within six blocks of renowned New Orleans attractions like Jackson Square, the French Market, Aquarium of the Americas, Bourbon Street, and Harrah’s New Orleans Casino. The pool at the historic Place d’Armes Hotel (625 St Ann St.) has built-in seating inside it. The courtyard surrounding it is particularly enchanting, showcasing the award-winning patio planning and a variety of planted and potted plants, in all their tropical glory, that are native to Louisiana. Find a spot at one of the patio tables or the benches in the shade of the magnolia trees, and relax to the sound of the gurgling fountains. You can also take your complimentary continental breakfast there. Just steps away from Jackson Square and located in two historic townhouses, Place d’Armes Hotel embodies old-world charm inside and out. When you’re a guest at any of Valentino Hotels you are able to access the pool at any of those other hotels. They are not open to the public, only guests. Food and drink are welcome in the pool area, but no glassware. They’re open from 10 a.m. till 10 p.m. daily. 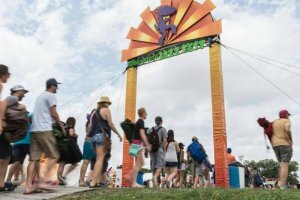 Cool off, indulge, and take advantage of the photo opps!